Crap. I'm planning on using them. I tried to search "CPA my town truck driver" and various things like that..and didn't come up with anything. Oh...and one more. Go to the DMV and get your permit with (preferably) all of the endorsements after you get through The High Road Program but before you leave for training with Prime. Students that show up with their permit get to begin doing other things while those who don't will go through classroom and study time for their exam. So that will put you ahead of the game. Brett, you can no longer transfer an out of state permit to MO. Anyone that comes to Prime will need to sit for their permit once more, unless they are from MO. 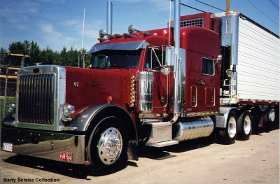 Need help with finding a CPA with knowledge filing for truckers to maximize deductions for my llc. Any guidance is greatly appreciated,! What deters you from using the tax service at Prime? I'm leaving soon too ladies. I go from excited to incredibly nervous. This is a huge transition for us 😊 Good luck to you both. Thanks for the input :) I'm just glad I read about the drinking during the initial orientation thing on here. I think that I'm planning on getting a full-size truck. I want the space in the center to change, to fold clothes, etc. A girlfriend of mine referred to that that 24"x24" space as her living room. Heh. I know it'll be a paycut, but I think I'd appreciate the space more than the money. I want to crawl around in a lightweight before I make the decision. I've heard about the storage in a Prostar a couple of times, super curious about seeing it (I've only seen it on a video). I mentioned "bank" because I know a lady that is a bank officer that is about 90% inked from here neck down to her wrists and ankles. She must wear high necked, long sleeve blouses and pants or long skirts to work. I couldn't live with restrictions like that. The trucking "dress code" being what it is in most companies, you could dress for a tattoo show & be OK. I'm an RN myself, having to take out my piercings and wearing long sleeves at most facilities. Waking up, putting on comfy clothes, and ignoring my hair is going to be freaking awesome. Reading about people being sent home during orientation has gotten to my head. We really can't have a beer or two during the initial week? I'm not saying it's a huge deal, but it's my down time. Glad I read it here, because surely I would have had a drink at some point. It's not like you're working in a bank, Miss Red. It doesn't hurt to ask, but I've seen many truckers tatted out. For school, dress for working outside. Be sure to wear good shoes. Ankle high work boots maybe. I totally get I'm going from a field that is strict about appearance to a field that I can relax a bit more. The question was involving orientation, which some have referred to as "one long interview." I've never worn jeans and a tee shirt, or exposed my tattoos, to an interview. I'll grab some boots. Glad I can instantly relax about my appearance. I appreciate the input. Sorry to bring up a dead thread, but can someone tell me if I'll need to cover my sleeve while in orientation? Also, take out piercings? I realize it's like one big interview, so I wasn't sure how proper I need to dress for orientation week. Jeans and a tee ok? Trying to conserve space in my bag. Just to clarify, would I need to move every couple hours? Or just once? Also, is there a need to do this if you dried them out? Drug his tires, tires were not moving, and skidded off all the rubber. 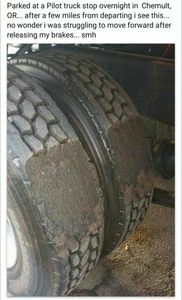 tires are shot need replaced. Could have been frozen and not released, from driving in snow and slush then parking in below freezing temps. Could also be a frozen or kinked airline. Basically the spring brakes need air pressure to release them from parking mode, pushing the springs back. So either air was not getting to the brake chamber, or air got there but the pushrod and S-cam assembly was frozen, or the shoes were frozen to the drums. All of which cause a no-turn situation. 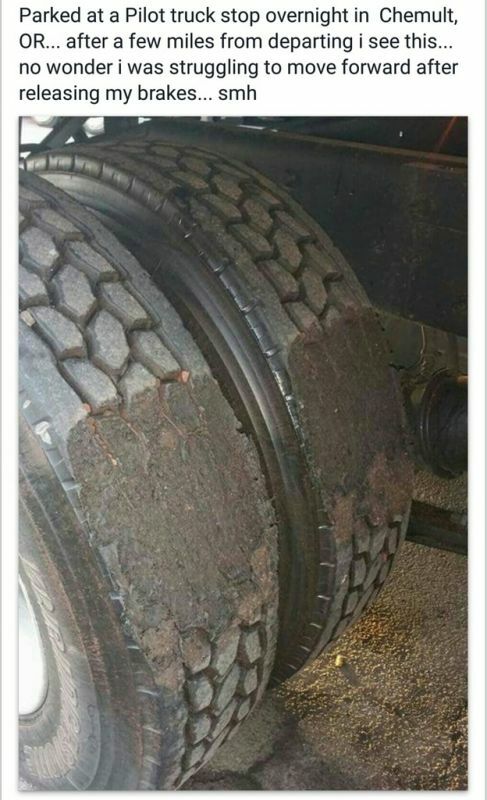 These are either his engage only drive axle or his trailer tires since you would really know it if your normal drive axle had a frozen brake somewhere. Could someone explain what he did in order to cause this? The comments are full of insults and I'm not able to determine exactly what he did in order to ruin his tires overnight. It's been confirmed with my buddy that currently works at Prime. His friend started orientation Monday, January 18th and was unable to transfer his Georgia permit. If your toucan can stay on a perch, would you really need a cage? Old School - I love that you're calm when you respond to people on the forum. Don't let those buttfaces make you feel guilty for providing rationale for your viewpoint on leases. You brought up several valid points. People not being able to discern between net and gross do not need to be leasing. Anyone who jumps into a lease without several months of thought and preparation, or years of prior of experience, is probably setting themselves up for failure. Why did I tell people not to voice their opinion on my possible lease? I've utilized the search bar. I've combed through videos on youtube and other forums to find out people's opinions on leasing. Why am I skeptical about the people who have negative viewpoints? They generally don't personally lease at Prime. I compare it to someone financing a vehicle for 22% when they could have gone down the street and financed it for 12%. Different leasing terms for different companies. 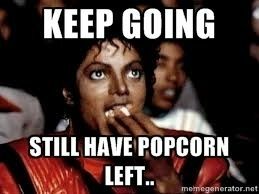 Why else am I skeptical about people's opinions on the forum? I personally know a man that is leasing. His father has had a handful of successful leases at Prime too. He showed me his pay stubs when I started asking for specifics. I challenged him when he told me he brought in 2600 one week NET. He then showed me the next week where he was down for 3 days due to repairs, 600 NET. Yes, this is after tire fund, emergency fund, etc etc. What does this not include? Health insurance and taxes. You can throw around whatever numbers you'd like to about taxes, but damn near everything is deductible. I then asked why the heck is everyone complaining about leasing at Prime. He told me about a kid who was losing hundreds of dollars each week on fuel. You have a two hour window to get your reefer fuel and Prime covers it. Also, the guy was fueling out of network and not receiving the company discount. Have a lead foot? Slow down. Don't have an emergency fund? You're running a business and crap comes up you need to cover. Not setting money aside for taxes? You're going to fail. Thank you so much for posting about the permit information. I was planning on sitting for it Monday. I'll double check with my recruiter as well. I hope to start my new carrer in this industry soon .... but am I too darn young? I think their secret agenda includes eugenics!